Our attentive and friendly team received the "Best Movers of 2017" award from San Francisco Magazine! When packing your household seems like an overwhelming task, Upline Moving can send a team of highly trained and certified ProMovers out to manage it for you. We arrive with all of the necessary moving supplies and equipment to securely pack all manner of items and furniture. Our team will also treat your belongings gently, giving everything the white glove treatment. Are you moving soon and not sure where to get started? With a little help from our residential movers, you'll soon have a tailored moving plan that fits your needs and budget. Upline Moving provides local and long distance residential moving services that smoothly transition households of any size to a new destination. Our team will take the stress off your shoulders with a well-organized relocation. Many residential customers require in-between storage when moving to a new home. If you are looking for offsite storage of your belongings during a lengthy relocation process, we can help. Upline Moving can keep your household goods secure in guarded warehouse facilities located all over the United States. We'll make sure your items are safe and sound until you have settled in and are ready to receive them. 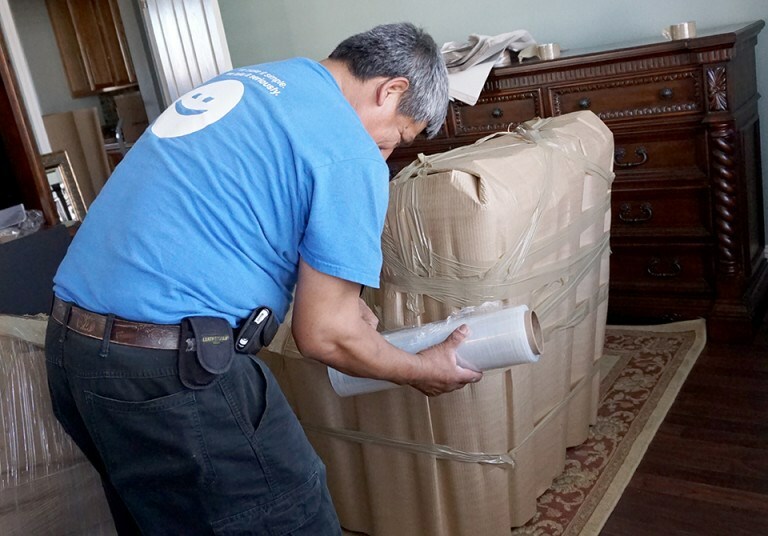 Take care of your household or business move quickly with our exceptional Bay Area movers. We don't waste time with extra fees or red tape. Our experts will make sure your relocation is well planned and carried out efficiently, which will save you money in the long run. Give us a call or fill out our online contact form to get started with your Menlo Park move during a free consultation and price estimate.